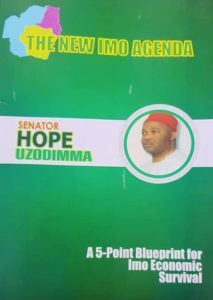 2.0.1 IMO STATE EDUCATION OPPORTUNITY PROGRAMME-ISEOP: Our goal will be to turn IMO state into a knowledge driven economy and to accelerate development through manpower development. We shall restore IMO state as the nation’s leading center of knowledge and enterprise. 2.0.9 Establishment of a job placement office – to enhance job search and placement , internship (IT) and other career related programme for graduates shall form an integral part of ISEOP. 3.0.7 establishment of drug revolving trading account in the hospitals and health centers to ensure availability of life saving ” essential” drug at the hospital pharmacies. Each hospital or health center shall operate a guided self accounting status to ensure Effective administration of the drug revolving accounts. 4.0.11 SEDARC shall abolish all forms of unconscionable “imperial,” taxes,levies and fees other than that established by law which their application has impoverished the citizens. The state BIR shall in liaison with SEDARC developed a new IMO REVENUE MENU to accelerate IGR potential of the state. 5.0.1 GOD GOVERNANCE – DEMOCRACY AND RULE OF LAW: we shall recover and institutionalize Democratic value in governance. Our administration shall tenaciously uphold the pillars of good governance SECURITY OF LIFE AND PROPERTY , RIGHT TO OWN PROPERTIES, INCLUSIVENESS, PURSUIT OF LEGITIMATE ECONOMICS ENDEAVOURS,RULE OF LAW, ACCOUNTABILITY AND TRANSPARENCY, RESPECT FOR HUMAN RIGHTS, HONESTY AND TRUST. 5.0.8 We shall create a neighborhood security watch a well coordinated and integrated community based intelligence gathering network operations (ICBI) in liaison with the NPF , DSS, NSCDC, NSO and some well organized private security operations code named “SAD” (Search and Destroy) a holistic combined security operations targeted at the flashpoints and vulnerable areas including hide outs,jungles,uncompleted buildings,forest,shrines ,lakes and creeks etc .it shall be a season of sadness to criminals in IMO state. 5.0.11 We believe that power belongs to the people and not the other way round. Government is not instituted to deride the people, but to protect their fundamental rights. We shall be responsible and accountable to the good people of IMO state. 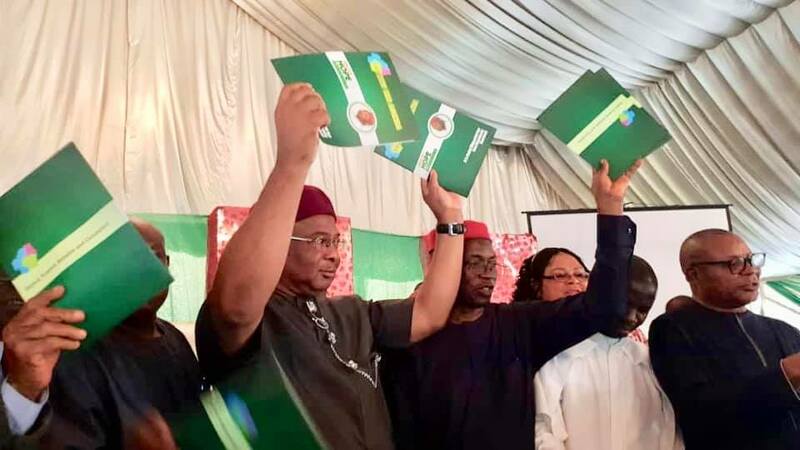 This is the dawn of a NEW IMO STATE. The Igbo Heartland and the land of HOPE.